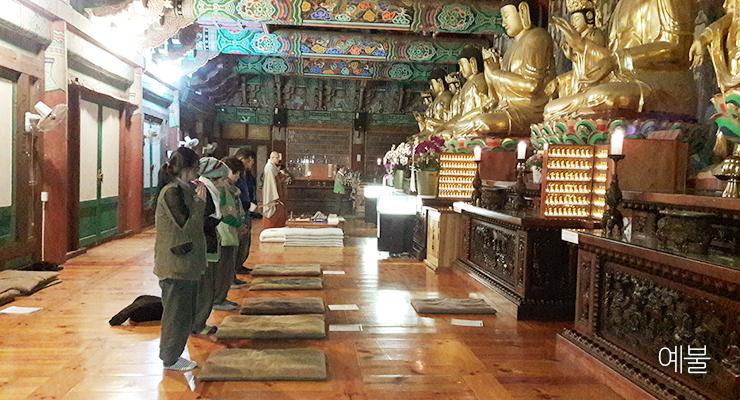 GeumsansaGeumsansa: A Templestay program you’ll never forget. The Geumsansa temple is quietly perched in the western foothills of Moaksan. Like the mountain Gyeryongsan, Moaksan (the so-called Mother Mountain) is the cradle of many different indigenous religions. The mountain’s shape looks like a mother cradling her baby, thus Moaksan embraces Geumsansa. During the Baekjae reign of King Beop (599 C.E. ), the temple was built to pray for the king’s prosperity and good fortune. Later during the reign of Shilla King Hyegong (766 C.E. ), the Precepts Master Ven. Jinpyo (718-752 C.E.) expanded the temple and established it as the Head Temple for the worship of Maitreya. Maitreya, regarded as the future Buddha. A compassionate Buddha who is always with his faithful followers. When you step in Geumsansa, you would see valuable relics and cultural assets. The most eye-catching among all, undoubtedly is the three storey Mireukjeon (Maitreya Hall), the one and only in Korea. From the outside, it seems like a three storey building, but inside is completely open all the way up to the high ceiling. Inside this enormous hall, is a triad of statues. It features, Maitreya in the middle (with a height of 11.82 m) and two Bodhisattvas on both sides with a height of 8.79 m each. Nothing to worry about, no worries to defeat.This is this! That is that! I will live by letting go of myself without discrimination. Program : Tea conversation with a Monk, Yebul. 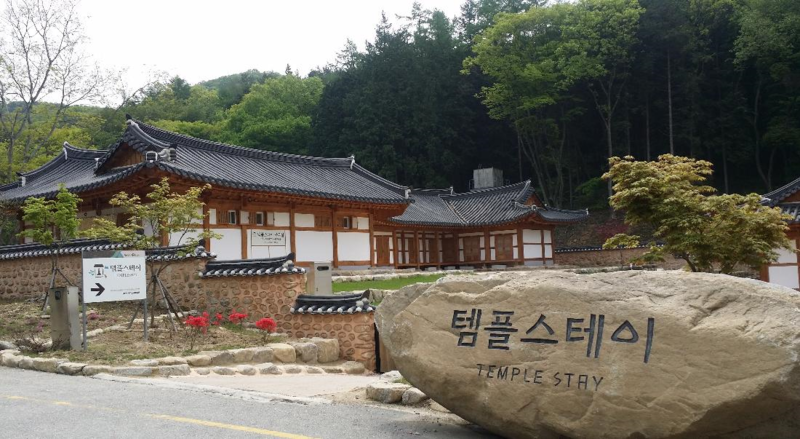 ■ Geumsansa runs a templestay program that is extremely popular. Participants often come back to stay and join the volunteer team. Administrative staff and volunteers number almost 20 people at times. The program enables people to speak with the monks and ask them anything they want to know about Buddhism. People also seek some advices on how to solve problems in their lives. There are three kinds of standard programs in Geumsansa. The basic program is called “Templestay: I want to rest” which features Seon Meditation, 108 prostrations, tea and conversation with the monks, and walking meditation. A one week program, which focuses on actual practice is called Seon: Understanding Myself. It is a freestyle program that gives participants a chance to examine themselves by having practice according to their schedules. Lastly, a special program happens annually wherein former participants get together again. [Geumsansa] 2 days 1 night templestay"I want to rest"